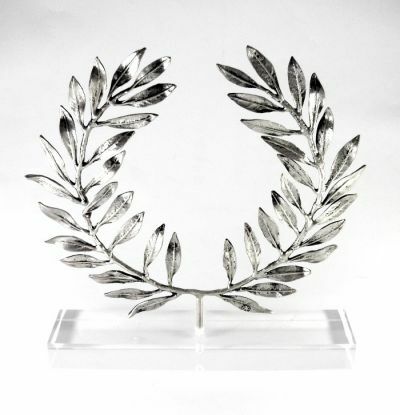 The Olive branch, a symbol of peace and creation and is our inspiration to create this impressive artwork. The olive wreath, also known as kotinos, was the prize for the winner at the ancient Olympic Games in Olympia. The design and sculpture is made by the artist El Phil (Eleftherios A. Philippakis). The wreath is made of brass, plated in silver solution 999° and it is mounted on an acrylic base (plexiglass). 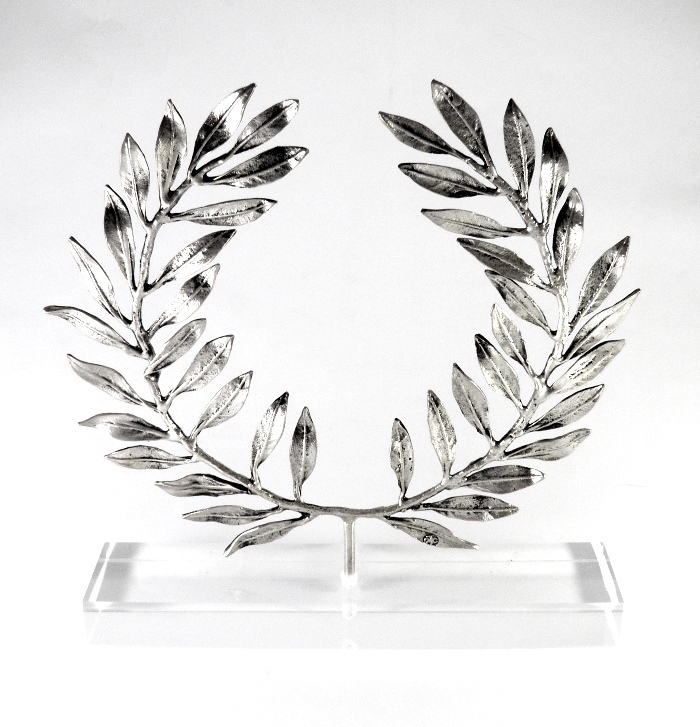 The olive wreath also known as kotinos was the prize for the winner at the ancient Olympic Games. It was an olive branch, in the form of a circle. According to Pausanias, it was introduced by Heracles as a prize for the running race winner, that was held in honour to his father, Zeus. In the ancient Olympic Games, there was only one winner per event, crowned with an olive wreath, from the sacred tree near the temple of Zeus at Olympia. In honor of the ancient tradition of the Olympic Games, olive wreaths were given out during the 2004 Summer Olympics in Athens. Golden olive wreaths are held at the Archaeological Museum in Amphipolis and the Archaeological Museum in Thessaloniki.